The unmistakable giant of Africa (Loxodonta africana) is the world’s largest land mammal, recognised for its muscular trunk, ivory tusks and large, fan-like ears. A fully mature African Elephant bull is usually over 3m in height and 5,000kg in weight. Females are a lot smaller at 2.5m and 3,000kg. 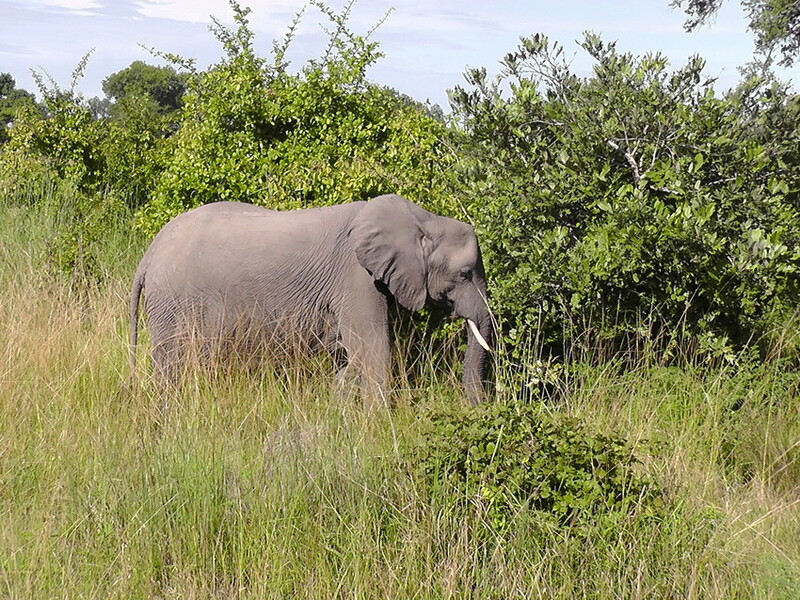 African Elephants are mixed feeders and thrive in habitats which provide both grass and shrub feed. Being so large, they need to travel some distance to find enough food. This is particularly the case for family herds of female elephants and young, with an average of 9-11 individuals. Adults eat 4-6 per cent of their body weight daily. Their digestive system is relatively inefficient, and can only absorb 44 per cent of food, so they need to eat almost constantly. Elephants have a greater environmental impact than any mammal other than humans. The movement of herds through brush creates paths towards water sources used by a number of other species. Elephants will dig in dry river beds with their front feet to source clean, fresh water, creating wells in dry areas. They also ring-bark trees and push them down, bringing food within reach of smaller browsers. This destruction of trees has transformed many national parks where boundaries now prevent elephants from migrating. Migration has reduced the environmental damage caused by African Elephants in the past, by keeping it at low levels in any one area. 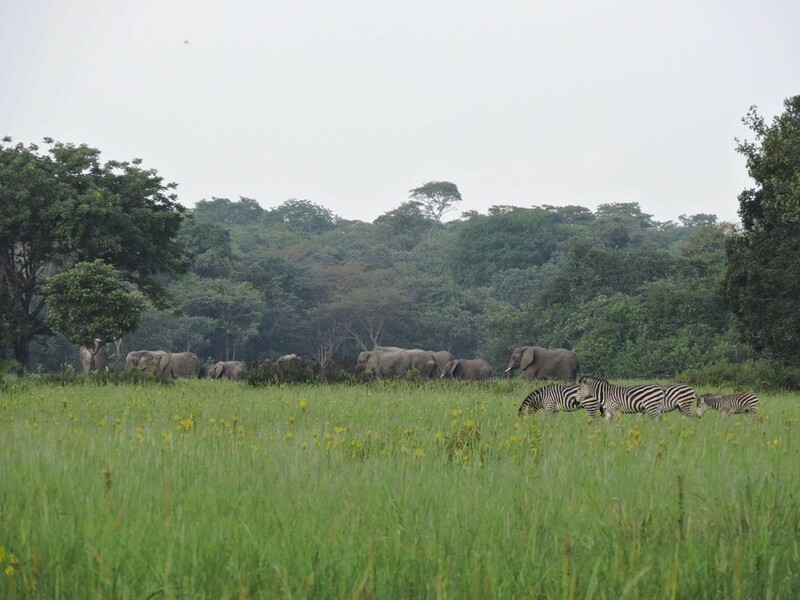 At these levels, elephant behaviour creates habitat diversity and soil turnover. African Elephants have been considered for separation into three separate species: the Savanna Elephant, Forest Elephant and West African Elephant. The differences in habitat between these populations have caused adaptations which make each different, but they are still classified as one species. The Savanna Elephant can be found in lowland and mountain forests, upland moors and low-lying swamps, floodplains and woodland. The Savanna Elephant is the largest, as male Forest Elephants rarely stand higher than 2.5m. Savanna Elephants have more curving tusks than their forest cousins. As mentioned above, elephants are destructive in wooded areas. This is made worse by the gaps between suitable habitats that now prevent migration across the African continent. Some national parks have resorted to culls of elephants to try to protect habitats. This is a highly difficult task due to the strong familial bonds between members of elephant herds. Also, the habitat loss and fragmentation at the root of the problem are caused by expansion of human populations and farming. Ivory poaching has been an increasing threat to populations of African Elephants over the past century. The value of ivory has tempted members of poor rural areas to become poachers. This can then cause divides in communities between poachers and conservationists. Protecting elephants from ivory poaching has taken three main approaches: raising global awareness, pushing for legislative protection and ivory trade bans, and protection on the ground by armed rangers. Estes, Richard. The behavior guide to African mammals. Vol. 64. Berkeley: University of California Press, 1991.